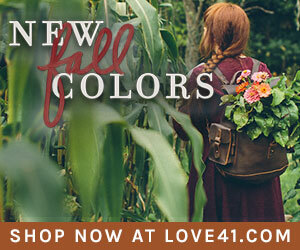 Emergencies can be scary when you cannot speak for yourself. 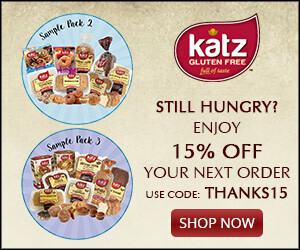 Medical emergencies can happen anytime and anywhere. All of your vital medical and contact information is custom engraved on your medical ID Necklace so first responders can take immediate action with your treatment. 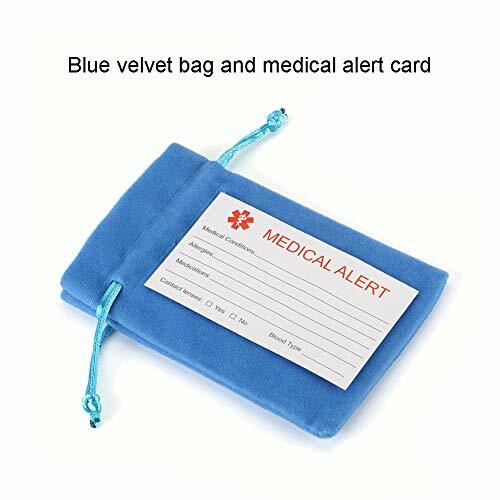 It is important to engrave your medical alert tag with the pertinent information that would be helpful in the situation where you are unable to communicate for yourself. By wear a BAIYI medical alert ID necklace, can quickly identify your condition.You do not have to worry about getting the proper care in an emergency. 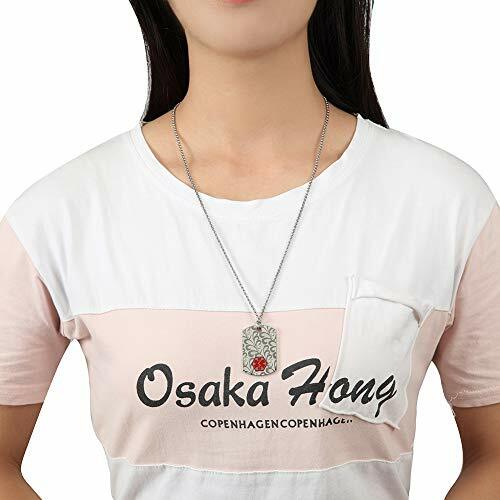 They provide great medical warning necklace for adults.The "LIFE STAR" medical warning signs are easily recognized worldwide to provide advice on existing medical conditions. 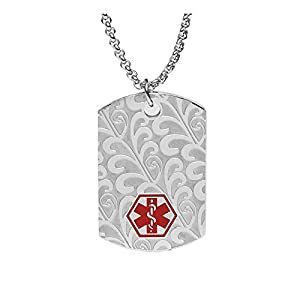 Whether you wear your medical ID dog tag to alert EMTs and other first responders to blood thinner, steroid, or immunosuppressant use, to a history of seizures, atrial fibrillation, stroke, or any other medical concern, we can custom engrave it just for you. 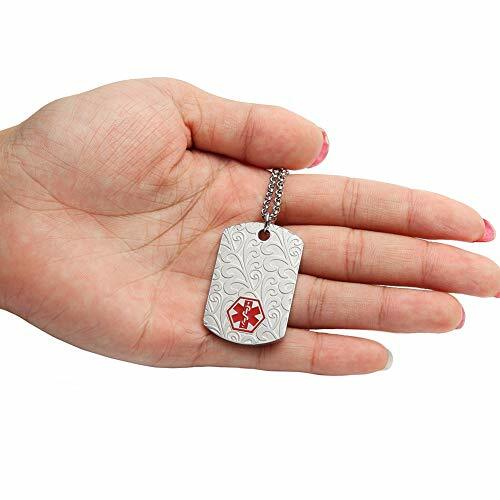 Exclusive filigree design brings a little elegance to your dog tag, the matte background shows a sleek and intricate scrolling filigree design, and red medical caduceus symbol is very attractive. 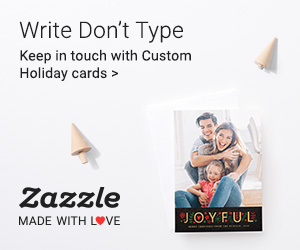 Pendant measures 1-1/2" x 1", back engraving (up to 5 lines, 18 characters per line) Laser engraving for darkened lettering that aids ease of reading with great contrast. 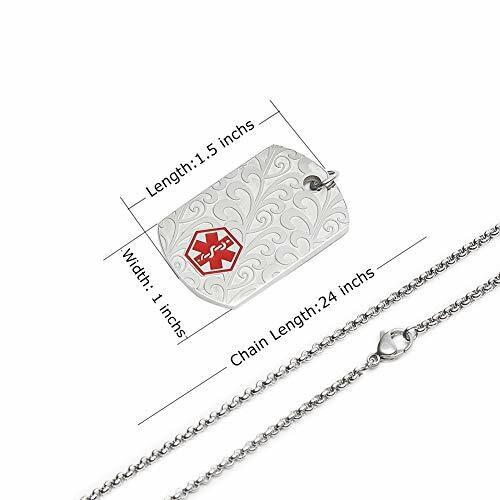 This stainless steel medical ID necklace USES a 24" standard adult length rolo chain. 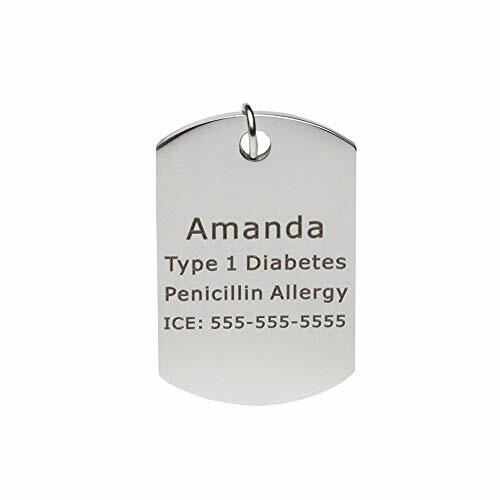 Custom-engraved dog tag medical IDs are also beneficial for people with dexterity challenges or swelling of the extremities that may make slipping on a necklace easier than clasping a bracelet.